iP3: Hire indicates Apple shift from aluminum to composites? Hire indicates Apple shift from aluminum to composites? Kevin Kenney has spent most of the last 14 years building carbon fiber bicycles as the President and CEO at Kestral Bicycles. This month, he became an Senior Composites Engineer at Apple after consulting for the past few years. What does Apple want with an expert in carbon fiber and other composite applications? iBikes? No. Kenney has been working indirectly with Apple for years. 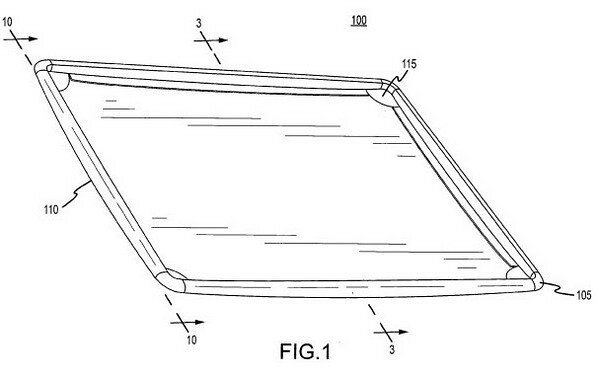 Apple filed a Carbon fiber patent with his name on it in 2009 (image of back panel below). Apple is likely looking at materials besides aluminum, stainless steel and glass to build their iOS devices and Macs. Imagine a carbon fiber iPhone or iPad which weighs significantly less than the current models, yet stays as strong. There have been rumors of carbon fiber Apple products previously, but they proved wrong, or at least premature. Kenny’s skill set is below and notably he’s not just an materials engineer with a background in aerospace but he’s also versed in management and supply chain logistics. 20 years experience in design and manufacturing high performance consumer products using composite and other advanced materials. Established reliable and competent global supply chain for design and manufacturing of high performance consumer products. Developed custom manufacturing processes for volume production of advanced composite products.